Minerva’s Owls plumbs the depth of inner and outer consciousness as the new consciousness emerges. It seeks the balance we need to achieve through space and time, individually and as a society, if we are to move forward in any meaningful way. 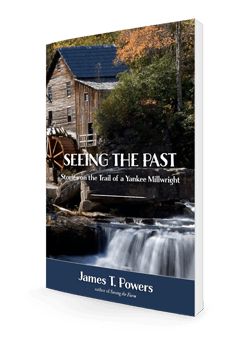 Amid the confusion of painful birth pangs, Minerva’s Owls holds hope for the future as it reinterprets history and the reverence of ancient deities to awaken the sacred feminine. 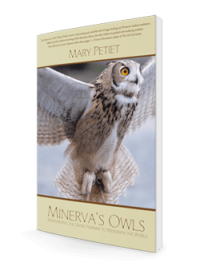 In Minerva’s Owls, Mary Petiet weaves a fascinating and colorful web of yoga, healing and Western wisdom traditions. Filled with the infinite knowing of the feminine divine, this slim volume is packed with enduring wisdom. You will recover your deepest self in these pages. Minerva’s Owls reads like downloaded sacred wisdom. Petiet has woven a luxurious tapestry, weaving the elements of wisdom, psychology, herstory, yoga and sacred art to tell the tale of human evolution, ultimately leading us full circle, back to Source, our Great Mother. 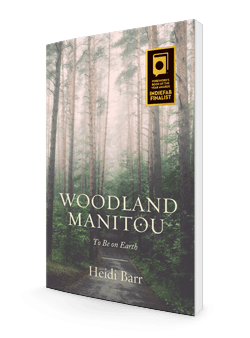 I loved her refresher explaining how we got to this place in time, as well as her wisdom to help us reconnect, even in our busy and material world. Truly comprehensive and inspiring! 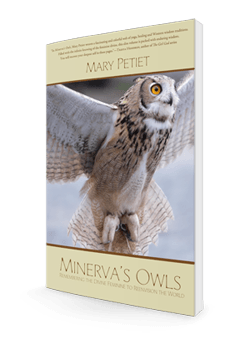 Minerva’s Owls is more than a book. It is a living art form ushering you through time from a space of timelessness. It is deep, yet tangible providing an effortless flow between art, yoga and the universal energy field of consciousness. 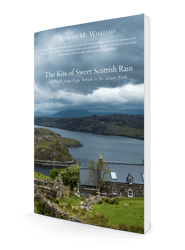 Mary Petiet is an author of impeccable knowledge and a talented story teller.